I agree with Gina, it's gross. 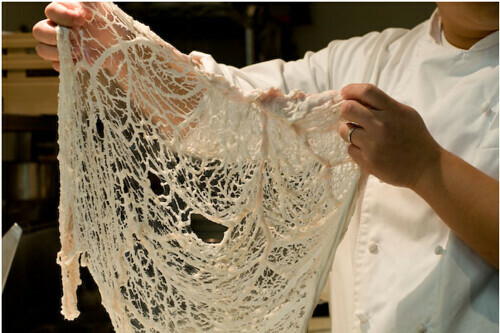 Actually I think the dress is grosser looking than the actual caul fat. And...ewwwww. Really REALLY glad I finished my breakie before I looked at this. Caul fat. Blurghk. Amazingly gross. How would you block that thing? It's amazing that the models are willing to continue to work.